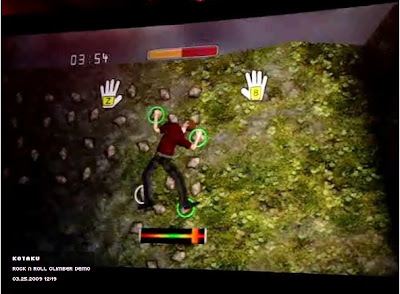 Out of GDC 2009, comes a Wii Balance Board WiiWare game demo - although there was no Rock N' Roll - just rock climbing. Only at the end of the stage (finished climbing the rock) is there Rock N' Roll....better later then never? The horizontal bar underneath the climber is an indication of where the player is standing on the Balance Board. 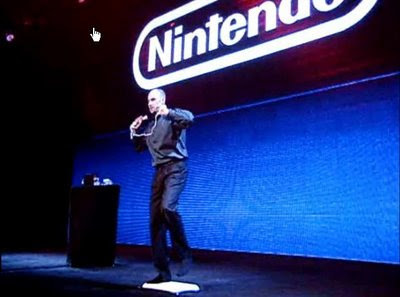 Can games like 'Wii Fit' really work it? DS My Weight Loss Coach Hands-on - It's Big!